"She is a class act; she is absolutely brilliant with clients and has a pleasant approach." A top UK specialist divorce lawyer, accredited mediator and collaborative professional dealing with all areas of family work to include divorce, civil partnership proceedings, all issues relating to cohabiting couples and children. Rachael is recognised as a leading expert in resolving the financial issues arising from relationship breakdown for clients based both in the UK and abroad – especially for representing people with a public profile and high value, complex cases using both negotiation and discussion or court proceedings where the circumstances require it. She also specialises in the preparation of pre and post nuptial agreements and cases involving children both within the UK and internationally, including relocation to another country. Rachael also leads and manages the Freeths Platinum Client Service. 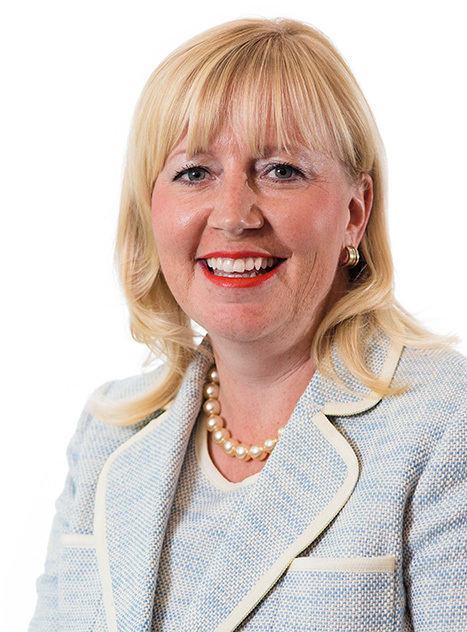 Rachael is listed as a Leading Individual in both Chambers (2018 Edition) and the Legal 500 (2019 Edition). Ranked as one of the top divorce lawyers in the UK by the UK’s leading legal directories (Chambers & Partners and The Legal 500), Rachael is able to advise you on all aspects of family law issues. She has over 20 years’ experience of dealing with both financial cases and work relating to children. Rachael has a particular expertise for complex high-net-worth situations which will often involve international assets, companies, trusts, tax, pensions and other jurisdictions. She provides a discreet and professional service for high profile clients who want to avoid media attention and keep their personal affairs private. 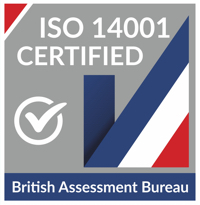 Her clients are not only throughout the Thames Valley and South-West, but also London due to her ability to offer the same level of specialist advice without charging City rates. In our experience, more clients are now looking for ways to reach agreement without having to make applications to a court. This is done by using mediation, collaborative practice, arbitration and solicitor led negotiation and Rachael specialises in guiding clients through all of these options to reach an amicable agreement. However, in some situations, despite everyone’s best efforts to reach an agreement, some cases have to go to court. Rachael will put together an excellent legal team to deal with your court case. Your dedicated team will provide you with guidance and assistance every step of the way. Rachael is a member of Resolution’s national training team training lawyers in the UK to be collaborative practitioners and is a member of the International Academy of Collaborative Professionals (IACP). 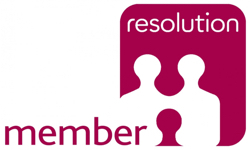 As an active member in both local and national collaborative and mediation committees, Rachael works with the national sub-committee of Resolution to promote and market dispute resolution options across the UK and Europe. Acting for a wife in a case where the husband refused to provide disclosure to the court and attempted to persuade the court that his business shareholding had no value. This involved various court applications to secure all necessary disclosure and obtaining a forensic accountants report. At a final hearing the Judge found in favour of the wife on all points and an excellent result was secured by Rachael and an order for costs was obtained against the husband. Advising businesses and trustees on the preparation of documents and the distribution of funds. Rachael also works with couples interested in preserving wealth with the preparation of pre and post-marital agreements. Wealth preservation advice from Rachael with the preparation of a pre-nuptial agreement for a couple marrying who came from very wealthy families and needed to protect family trust assets and valuable assets being brought into the marriage. It is important to note that keeping cases out of court requires a special skill set coupled with extensive experience of working with separating couples. This is why people come to us. As an accredited mediator Rachael will work with you to try and resolve any issues relating your separation. If you are interested in knowing more about mediation and how it can help you please complete this referral form. A private mediation conducted by Rachael involving a high profile professional footballer where the couple wanted to reach an amicable settlement and keep everything out of the media and the public eye. If mediation doesn’t feel like the right option for you then collaborative practice might better suit your circumstances, this is a process where the lawyers work together with you and your partner, as a team, to resolve the issues in face to face meetings. As one of the national trainers for teaching lawyers how to work collaboratively, Rachael is very experienced at working with couples and lawyers in this way. Rachael can help cohabiting couples. Rachael is ranked as one of the top divorce lawyers in the UK by the UK’s leading legal directories (Chambers & Partners and The Legal 500), Rachael is able to advise you on all aspects of family law issues. A complex, high value divorce case involving trusts and farming land. It came to light that one of the trusts, previously advised on by another firm had been mismanaged. The problems with this trust were resolved and compensation secured from the previous firm who had advised incorrectly. Assets both in the UK and abroad where shared to provide our client with an excellent settlement and future financial security by obtaining a significant lump sum which was to be invested to provide an income rather than having ongoing spousal maintenance payments. Rachael can advise on Civil Partnerships. If you are dealing with issues in court, Rachael can advise on what factors the court would take into account. Rachael can advise on pensions and divorce. A case involving UK, French, Portuguese and Monaco pensions. This required detailed investigation of the various pension schemes to understand what could be shared by way of pension sharing orders, and what needed to be balanced by having more of the other matrimonial assets to account for the lost pension value of international schemes that couldn’t be shared. Rachael has over 20 years’ experience of dealing with both financial cases and work relating to children. A case involving an unmarried couple who had a child together. The father was a multi-millionaire. A court application was required to secure funds for the child’s future needs and educational costs. A trust deed had to be drawn up and trustees appointed. The matter did not require an expensive final hearing because a settlement was negotiated by Rachael so that the court proceedings could come to an end which saved our client a significant amount in legal fees. Rachael can advise on taking a child abroad. An international relocation case to ensure that a family could move to Jamaica. How do I resolve the financial issues? If you have to resolve financial issues, we have a detailed guide to separately explain that process. We can guide you through the process, form completion and preparation for the hearing to ensure your best possible case is presented to the tribunal. Sorting out the financial consequences arising from divorce can be difficult and confusing. There have been various attempts to simplify the system and improve the quality of the service given to families through the Child Maintenance Service (CMS). However, calculating payments isn’t always straightforward. If you are in the process of getting divorced or your civil partnership dissolved, we would always recommend that you discuss whether it is appropriate for you to either update your Will or make a new Will if you do not have one.